The old saying goes that it is not enough to provide a hungry man with fish to eat but he must also be taught how to fish, to ensure that he never goes hungry again. This rather simple saying is relevant as far as teaching and learning the basics of survival is concerned. But now it is being felt that it is not enough to teach the hungry man to fish but it is important to tell him ‘how much’ to fish. The obvious question is why should he be taught ‘how much’ and how does it make a difference? In the 21st century, it does make a difference. What we are going to explore now lies at the heart of the collective understanding of why ‘how much’ makes a difference. We are increasingly faced with an overload of information about the need for environmental awareness and are not always sure what to make of it all. An important idea that lends a perspective to environmental consciousness is the concept of ‘sustainability’. A subject dedicated to bringing about environmental consciousness finds its place in almost every possible school curriculum today. This tells us that ‘sustainability’ is key to the long-term existence and continuation of life as we know it. But what our textbooks do not tell us is that ‘sustainability’ and its various implications do not affect every one equally. To delve deeper, we need to go back into history to gain some much desired perspective. How can we contextualize the concept of sustainability in history and does it say anything about the carrying capacity of the planet? Our ancestors inhabited this planet with a lot of resources but unaware of how to use these resources. A few thousand years later, the tables have turned. The march of civilization saw them learning one use after another and busting one myth after another. In this march, natural resources, most of which are non-renewable, have played a crucial role. The industrial revolution was put into motion with the discovery of the steam engine, and all of the infrastructure, power and systems of communication of the Western world that is the model for development today has been largely through the unbridled and uncontrolled exploitation of hydrocarbons. What is established is that hydrocarbons, including coal, petroleum, oil, natural gas, and other sources of fuel, are integral to the model of development that we all subscribe to today. The evolution to the earlier saying about teaching a man how to fish, can be conceptualized in this context. Now it is increasingly being felt that it is not enough to know ‘how to use’ hydrocarbons but to know ‘how much’ of it to use as it is not in abundance. This is because the rate at which the reserves of fossil fuels accumulate on our planet is far less than the rate of current consumption. An important concept to introduce at this stage is the ‘carrying capacity’ of the planet. Economists and ecologists alike find the concept of ‘carrying capacity’ central to the ability to sustain life and growth on this planet. Even though an ecologist and an economist are from different theoretical backgrounds, they agree that exploitation beyond the capacity of the planet to replenish consumption will lead to non-sustainability of present actions and affect the ‘carrying capacity’ of the planet. The notion of carrying capacity is not restricted to hydrocarbons alone but to all actions that affect sustainability like that of the need to preserve fresh water reserves and bio-diversity of the planet. Therefore, what we are really saying is that an action is sustainable if, despite consuming a resource (mostly non-renewable) we can still expect to have enough future reserves for consumption almost indefinitely. This is rarely the case as the rate of accumulation of such reserves like coal, oil, petroleum, and natural gas, which is in the range of millions of years, is much much slower than the rate of consumption. These fossil fuels have remained the major sources of energy for the planet, especially with increased emphasis on thermal power and this has continued unabated since the first internal combustion engine in the 17th century. In the later part of the 18th century, the Industrial revolution which started in the United Kingdom, spread to Europe and North America, and spread unequally in pockets to some other regions geographically or historically. These pockets were the huge landmasses of Asia, Latin America, and Africa. Historically, the Western or the developed world evolved economically and socially through the exploitation of non-renewable resources. An important fact to remember is that almost all development and progress so far has been solely through the ability of humankind to harness hydrocarbons for fuelling such monumental engines of growth and development. What are the various implications of connecting sustainability and development? If we have to contextualize the notion of sustainability, we will conclude that sustainability is assigning the same amount of importance to our future needs and the needs of future generations as we do to our present needs. However, in trying to do so we must ensure that developing and underdeveloped regions of the world reach a stage of self-sufficiency. In most cases, a lot of physical infrastructure that is created through this process of development reduces the burden of future generations to create productive capacities of sustainability. Is there an economic dimension to “sustainable development”? It is only today that we hear of green technologies, are told to use other forms of energy and to sacrifice developmental needs to concerns for the future. There is no denying that green technologies are the way forward and especially renewable sources of energy should be harnessed. However, there is a huge economic and opportunity cost to the creation of the physical infrastructure that allows for such productive capacity. Hydrocarbons by far are the most inexpensive method to generate energy whether it is at large scale manufacturing units and thermal power generation centers or small scale combustion units. David Ricardo, a notable economist analyzed the sustainability of reliance on exhaustible resources and found that prices of other commodities was directly proportional to the economic rent received on such non-augmentable resource. 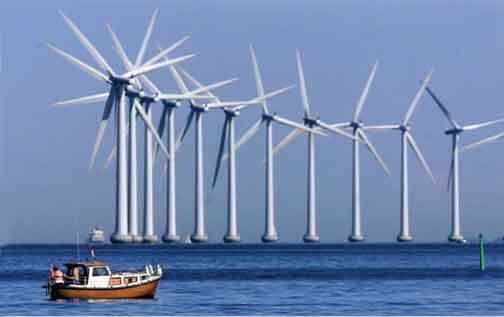 This is because under stable conditions, consumption would move to a progressive depletion of non-renewable resource. Today, in economic terms, inflation and prices of necessities such as everyday food items are dependent not solely on cost and quantity of cultivation, but on the price of diesel and petroleum. So, even though cereals and vegetables are more sustainable from an ecological point of view, reliance on non-renewable sources for transportation has a huge bearing on the final price to the consumer. Can economic development be really sustainable? How can we work towards it? Many paradigms provide operational definitions of sustainable development. The most sensible definition among them is the one which was propounded at the 2005 World Summit, which emphasized the need to reconcile environmental, social, and economic demands as the three pillars to the concept of sustainability. When the economic and social aspects are reconciled into the functional definition of sustainability, it empowers poorer regions of the world to believe in the legitimacy of pursuing the goal of development – economic and infrastructural through the measured use of non-renewable resource. This also implies that developed nations that have historically consumed a larger portion of natural resources have a greater responsibility to innovate and use alternative sources of energy. It is imperative for students, teachers and the citizens of the country and the planet to see beyond the common rhetoric of the desirability to switch to renewable sources of energy and appreciate that there should not be a blanket understanding of sustainability as a concept. Different nations based on their place in the trajectory of development should be allowed differential access to hydrocarbons. It is paramount to be aware of the reason why poorer nations rely more heavily on non-renewable sources like coal and charcoal, that of it being more affordable with less fixed costs as compared to the setting up of generational units for renewable sources of energy. It is thus the responsibility of all to ensure that a universally accepted definition of sustainability is not elusive and that the phrase “sustainable development” does not remain an oxymoron. It needs to be established that development can indeed be sustainable through a common and differentiated responsibility of underdeveloped, developing, and developed nations. Is this all that there is to know about sustainability and sustainable development? Not at all. Please understand that this by no means is an exhaustive exploration of the subject but the purpose of this article shall be best served if students and teachers are able to take a critical stance on the subject and weave developmental and social concerns into the concern for the environment. They by no means should be thought to be mutually exclusive. Where can we look for more information? An Introduction to Sustainable Development by Peter Rogers, Kazi Jalal, & John Boyd. Wallace, Bill (200)5, Becoming part of the solution. 2005 World Summit Outcome Document, World Health Organization. Adams, W.M. 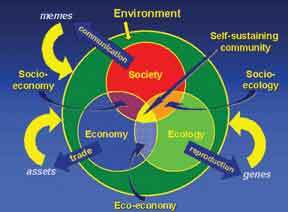 (2006), The Future of Sustainability: Re-thinking Environment and Development in the Twenty-first Century. Dasgupta, P. (2007), The idea of Sustainable Development, Sustainability Science. The author is a graduate in economics with an active interest in sociology, economics and politics of social causality. He is also passionate about education, especially in the Indian context and is currently pursuing a Master in Business Laws from National Law School of India University, Bangalore. He can be reached at themounik@yahoo.com.